Greetings, blog friends! Welcome to the June edition of DeNami Design's Inspired By feature! Each month we feature one talented DeNami customer's work, and then honor that wonderful artist with a host of DeNami DT projects inspired by it! 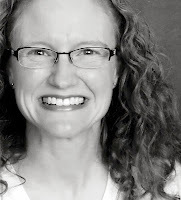 This month we were inspired by Jennifer Loftfield. 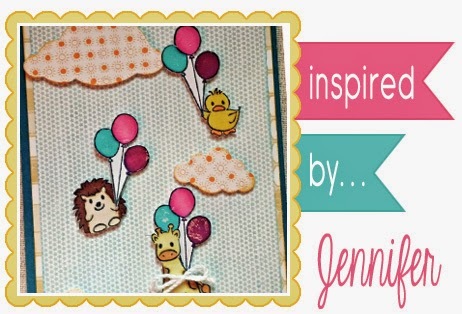 You can read all about Jennifer's inspiring design right HERE. I used DeNami's sweet Giraffe, Square Word Bubble, and "hi" from Everyday Greetings stamp set, as well as the Cloudy Sky embossing folder and some Pink/White Dots washi tape from the DeNami store. Be sure to head over to the DeNami Design blog today to see how the rest of the team was inspired by Jennifer's lovely creation! Thanks so much for visiting today. May your day be filled with bliss! Just darling! Love the sweet giraffe & awesome cloud background! So adorable Emily!! Loving that embossing folder! Sweet as can be Emily! Love the washi tape! Smiles everywhere! Both cards are so sweet! I love how you took the inspiration from her clouds and colours and added your little giraffe. cute card, love this little giraffe. Love all of the sweet patterns Emily, cute card!